Our roller briquetting presses are a four-roller double-pressing type. 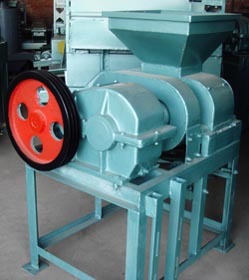 This type of briquette presses can apply high pressur and thus produce higher density briquettes. As its name implies, these four rollers apply pressure twice to the briquettes being produced, so they are stronger and have a high density, the surface is smooth. This briqueting press machine has a national patent in China. 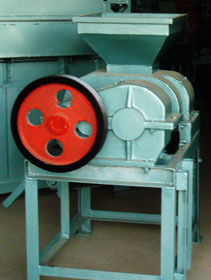 Click here to know Frequently Asked Questions about Coal Powder Briquetting Press. We use this type of Briquetting Press to make testing on the silicon carbide sent by India customer. Click here to know more about this testing.